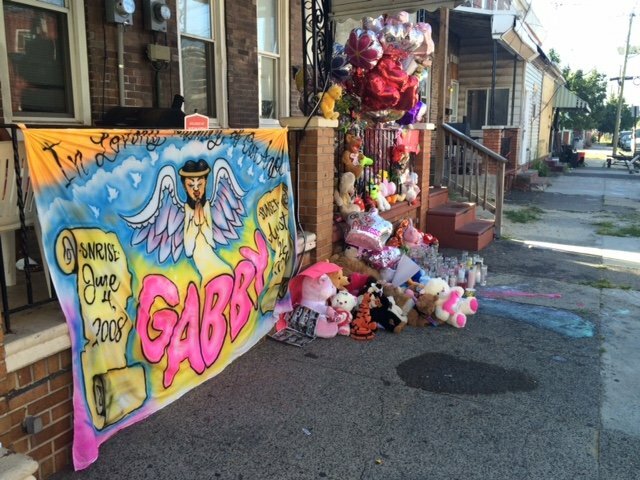 A funeral is set for Saturday in the shooting death of Camden resident Gabby Carter. The eight-year-old girl was struck by a bullet fired as part of drug gang dispute, according to police. 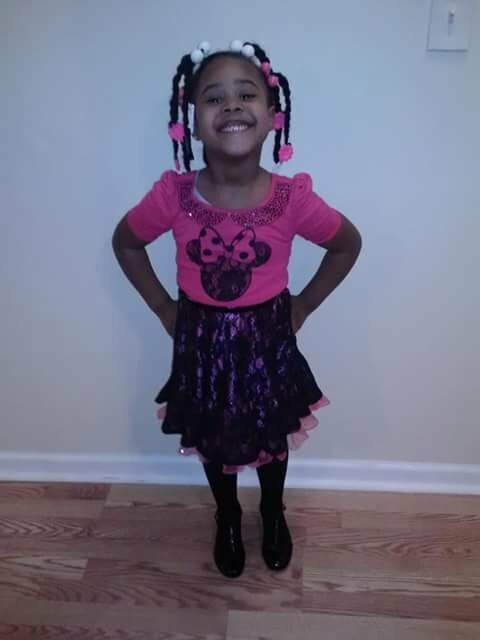 The eight-year-old Camden girl killed last week by a stray bullet was a victim of violence brought into her neighborhood by rival drug gangs, according to Camden County Police Chief J. Scott Thomson. Gabby Hill Carter was innocently at play on the sidewalk outside her home when several men from one gang stalked a man from another gang and opened fire, said Thomson, who gave PhillyVoice an impromptu interview on Monday as he visited his officers on the girl's street who have worked the case for the past six days. The little girl had planned to try out for cheerleading this week at her charter school. Instead, friends and family are planning her funeral, set for Saturday. 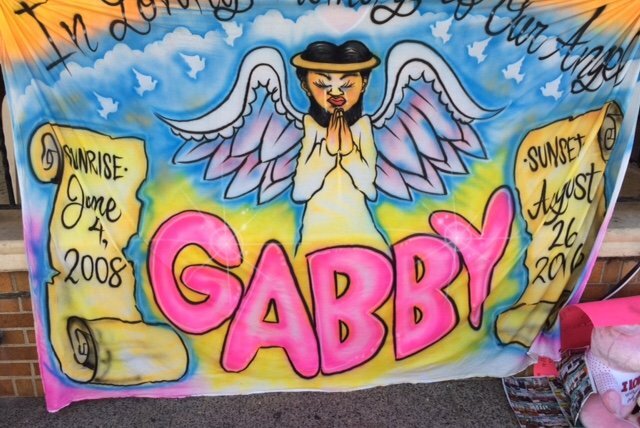 Gabby was shot in the head by a stray bullet last Wednesday at about 8:30 p.m. the 900 block of South 9th Street in the Bergen Square area of the city. The shooting is “definitely classified as gang violence,” Thomson said. The $76,000 reward to solve the case being offered is “historical,” the largest amount ever in the city, he noted. He added his officers, many with small children of their own, are taking the murder personally. “This is an all-hands-on-deck situation,” said Thomson, who declined to say just how many of his personnel are assigned to the case. The girl, who was to have started third grade, was well-known to neighbors because she often sold cookies and cupcakes from the porch of her home. "She was a sweetheart," said one neighbor. Another neighbor who heard the gunfire while inside her home said the shots came in rapid succession, with as many as 10 rounds fired. She also said the shots were deep and loud, suggesting a larger caliber semi-automatic gun was used. Authorities have not discussed a weapon. The neighbor, who spoke anonymously out of concern for her safety, said a new set of drug dealers had taken over the drug trade in the area in recent months. A funeral is set for Saturday in the shooting death of Camden resident Gabby Carter. The eight-year-old child was struck by a bullet fired as part of drug gang dispute. Thomson said his department is working with the Camden County Prosecutors Office, which is typical, as well as the United States Attorney’s Office and also the FBI because of the connection to drug gangs. “We are making progress with the homicide investigation, but we still encourage people to contact us with any information," he said. "There are a lot of people who regardless of the reward want to help us solve the case, but do not possess the pertinent information. This is typical with inter-gang street violence as the actors are mostly all a part of the same subculture. “The cowardly manner of multiple shooters spraying a barrage of bullets with children present violates the code of the street and even other gang members are condemning these actions,” added the chief. Thomson said the record-setting reward has encouraged rival gangs to come forward with information. He pointed out that Camden is a “young city,” with 31 percent of the population under the age of 18, meaning children are ever-present in the city. The prosecutor's office deferred comment to the police department. Services for the girl are set for the Faith Holy Temple Church of God in Christ at 2713 River Road in Camden on Saturday, Sept. 3. A public viewing runs from 9 to 11 a.m., with a funeral following. Services are open to the public.